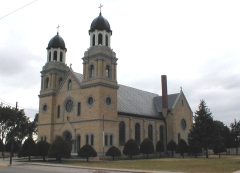 Located in Damar, St. Joseph Catholic Church was built in 1912-1917 to replace a wood frame structure. 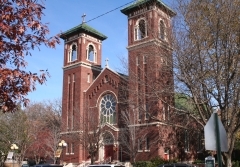 Constructed of native limestone, it is an example of the Romanesque Revival style and has symmetrical bell towers with copper domed roofs. 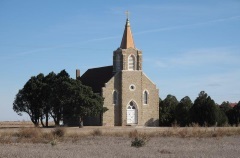 Architect Henry W. Brinkman of Emporia designed the church and Frank K. Rothengerger of Osborne was the builder. 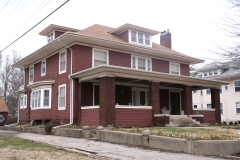 The property was nominated for its architecture.